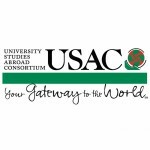 For 30 years, USAC has provided university students with affordable, valuable study abroad programs and contributed to the internationalization of universities in the US and abroad; we currently have program locations in 26 countries with many locations unique for study abroad. Students from any university are welcome to participate; students from more than 800 universities around the world have studied on USAC programs over its thirty-year history. Phone: 775-784-6569. Toll-free: 866-404-USAC (8722). Email: usac@unr.edu.